Mother’s Day is this Sunday. Don’t have a gift yet? Don’t panic: we’ve rounded up our favorite gluten-free gifts that’ll show Mom just how much you care. Flowers are lovely…until they wilt. 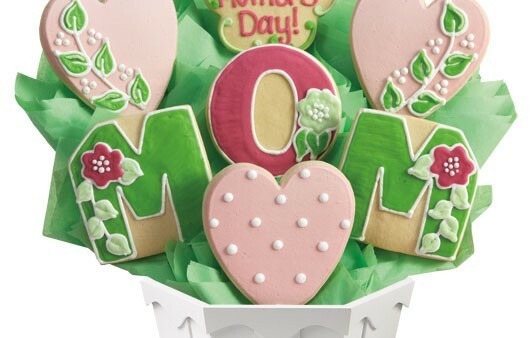 Skip the roses and sunflowers this Mother’s Day and give the gift of a gluten-free edible cookie bouquet from Cookies by Design instead. 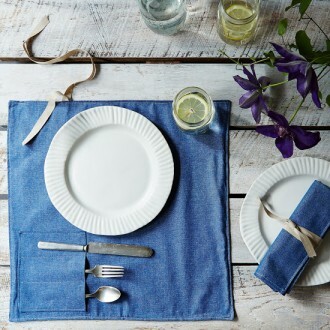 Help Mom pack a picnic with ease with these denim place settings from Food52. Simply slip utensils in the handy pockets, roll, and nestle them in your basket. When you unroll, you’ll have a ready-made (and machine-washable) place setting and napkin. 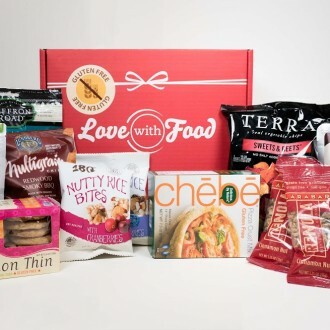 With a subscription to Love With Food, Mom will receive a monthly box packed with curated gluten-free goodies. For every box purchased, Love With Food donates a meal to food banks in America. Select either a one-time gift box or a repeating subscription. 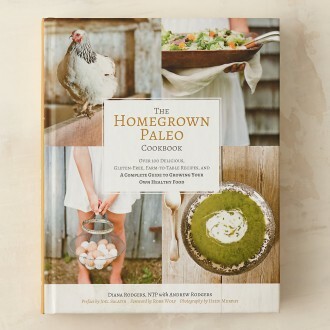 This stylish farm-to-table cookbook offers over 100 gluten-free and paleo recipes in addition to guides on growing food and raising animals. It also contains how-to tips for crafts and entertaining. 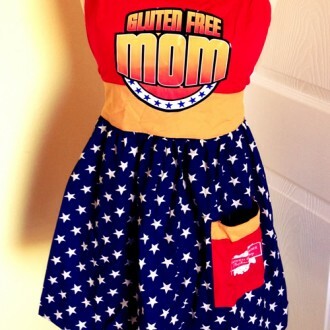 Know a gluten-free mom with superhuman skills? Let her show her true colors with this Wonder Woman-esque apron from Natural Decadence. 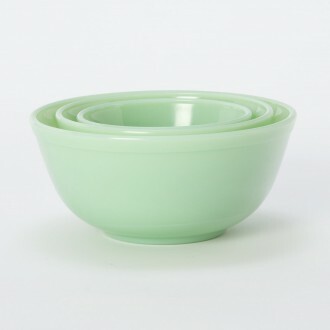 These lovely mint-colored mixing bowls are perfect for spring gatherings. Made of ’50’s-style milk glass, Mom will appreciate them for both baking and entertaining. 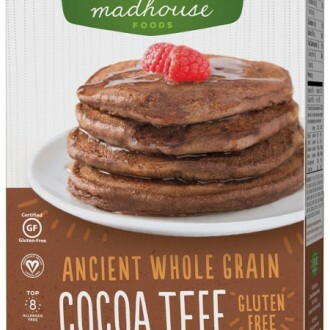 Let Mom wake to the smell of a tall, freshly-made stack of gluten-free flapjacks made from a Zemas Madhouse mix. Choose from Cocoa Teff, Multigrain or Peruvian Sweet Potato. 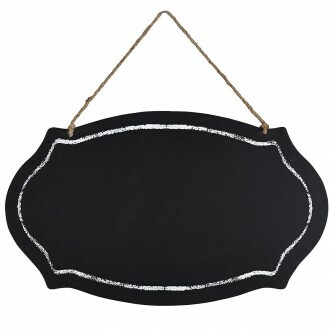 This adorable hanging chalkboard from Pier 1 lets Mom personalize her kitchen. Keep lists, announce what’s for dinner, countdown to special events or just count the ways in which Mom makes your life better. Does your mom have a sweet and a savory tooth? Send her this savory-sweet gluten-free basket from Tate’s Bake Shop. 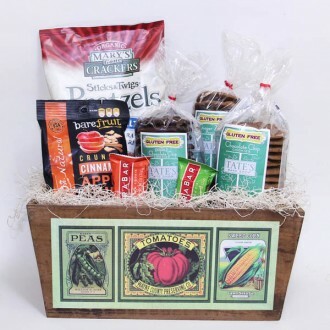 She’ll love the rustic, farmer’s market-style basket as much as she loves the treats inside. Live far away from Mom? There’s no reason you can’t give her breakfast in bed: Send her this breakfast box from Aunt Mildred’s. 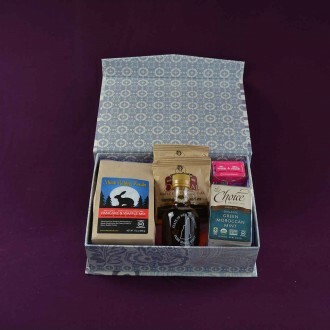 Each box contains New Hampshire maple syrup, gluten-free instant oatmeal, green tea, chocolate truffles, and dairy-free, soy-free and gluten-free pancake mix. 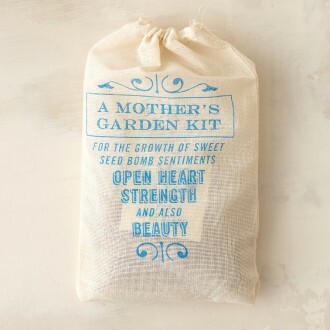 Give Mom a gift that keeps on growing with this Mother’s Garden Kit from Terrain. Each kit contains seed bombs for snapdragons, cosmos, and larkspur. 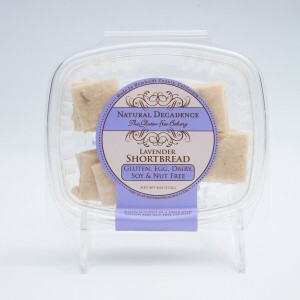 Natural Decadence’s gluten-free lavender shortbread is perfect for a Mother’s Day brunch or teatime. Serve it alongside a strong pot of hot black tea.